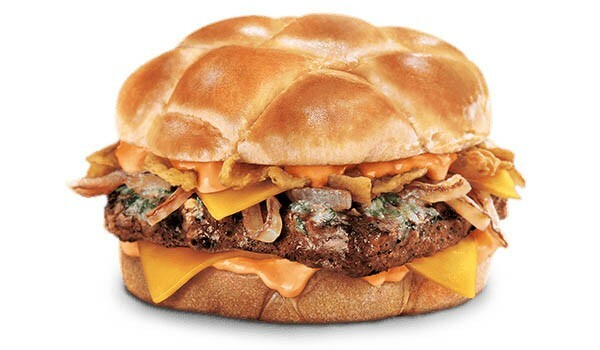 Jack In The Box is continuing to create new iterations of its Buttery Jack (quarter pound beef patty with melted butter). Recently we had the Porabello Mushroom Buttery Jack, and now, to my delight, we get the Cheddar Onion Buttery Jack (I don’t care much for mushrooms). The burger features the beef patty with melted garlic butter as usual, but this time we get a slice of Cheddar cheese with onions three ways: grilled onions, crispy onions, and a caramelized onion aioli, all on their delicious signature bun. The price on these is typically higher than I’d like (around $4.99 without a combo included). Jack In The Box is offering a coupon for $1 off available on their website. 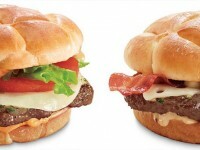 Note – The Buttery Jack’s from Jack In The Box are not for the nutrition minded. 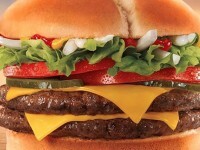 With 969 calories alone, you might want to jog to and from the restaurant when picking this up.